Fortnite for Android has been around a while, albeit as an invite-only game which involved you signing up for on the Epic Games website. Contrary to rumours, the game was not limited to the Samsung Galaxy Note 9 upon release and users could get their hands on a copy relatively easily. 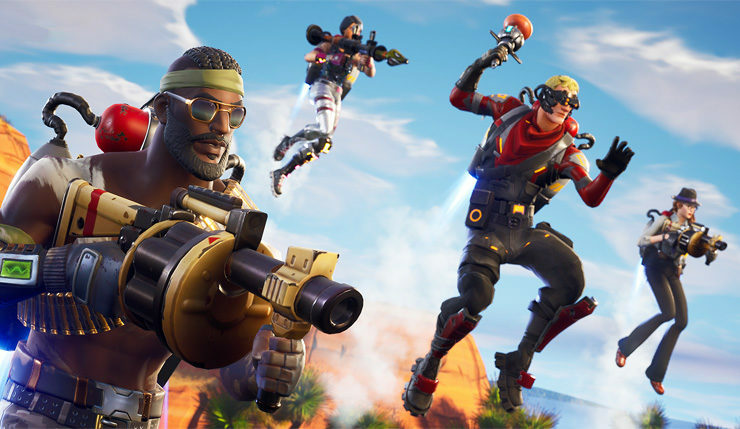 Epic Games kept the flow of updates coming in, and the Android version is more more-or-less on par with its PC/console counterparts. Starting today, Fortnite for Android won’t require signing up for the beta. Anyone with a compatible Android device can head over to the Epic Games website and pick up Fornite. It supports a lot of phones officially including all of Samsung’s recent flagships, Google Pixels, the Essential Phone, LG’s flagships, and the likes. Like all good things, the game is still in beta. Epic Games won’t block other devices from installing the game, but performance might not be ideal. So, if you’ve been waiting for Fortnite on Android, now would be a good time to download it and get some chicken dinners.